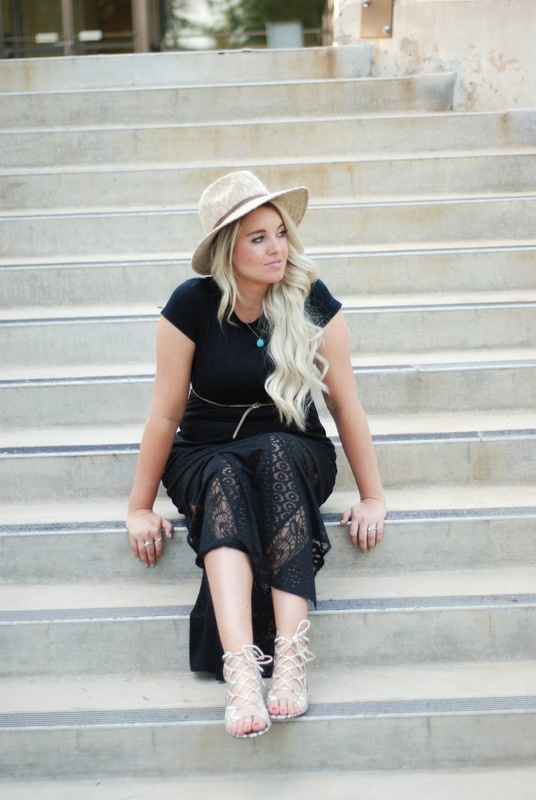 BLACK LACE DRESS FEATURING TRIPLE THREAD & 15 WEEK BUPDATE! The last few weeks have been rough. Headache rough. I never knew these were a thing when you are pregnant. Maybe because it might freak some people out? I don't know, but I feel like I should have been more informed haha. Today I am wearing another amazing dress from Triple Thread. They seriously have killed it in the dress department. 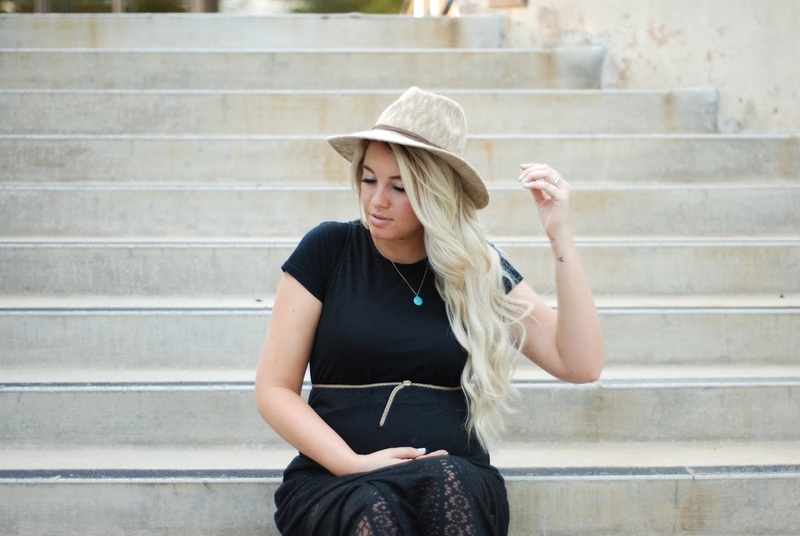 I have already said I love wearing dresses with this bump, and I have gotten so many cute ones from Triple Thread. Dresses are so easy to dress up or down and I love it! I hope everyone's week is going great! !